Perfect for small cafes, bars, shops & residential environments. 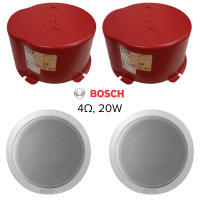 This 2x 4ohm ceiling speaker kit from Bosch is an affordable general purpose audio solution for small buildings, such as an independent cafe, convenience shop or pub/bar. The speaker is great for speech and music, and can get deceptively loud despite its compact size. 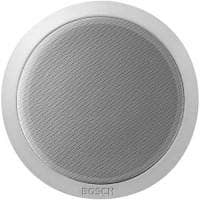 There is a surprising amount of depth and clarity and will be more than adequate for most styles of background music. 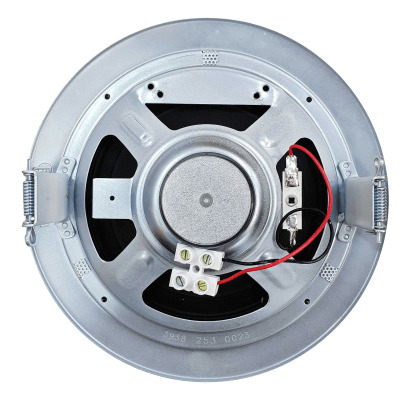 Installation is easy and done via a clamp mounting method, and because the speaker is very light it can be installed into a large variety of ceiling materials and types. 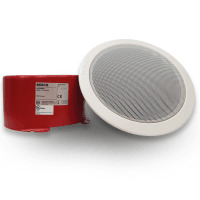 A circular metal grille is an integrated part of the front, and the neutral white colour has been selected to be unobtrusive in virtually all interiors. Wiring is also simple - on the rear of the speaker will be a block terminal with a red positive and black negative cable. 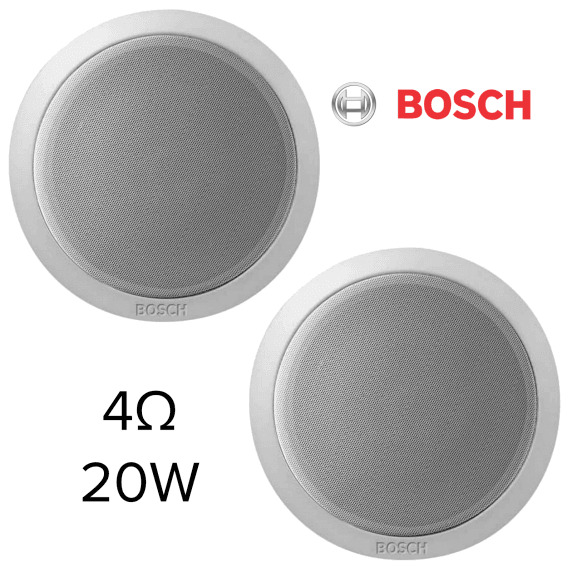 Simply connect your cable to this terminal accordingly (- to -, + to +). 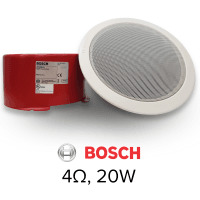 For added safety to home and public installs there is a Bosch LBC3080/01 Firedome designed specifically for this speaker.